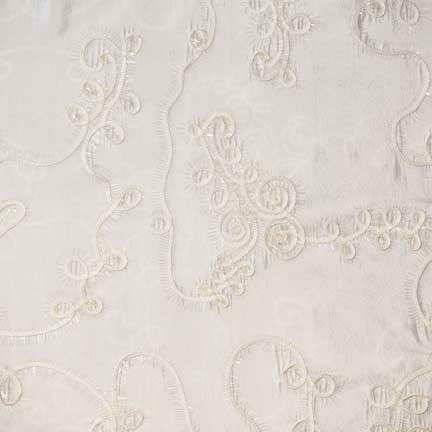 The stitched on elements and beadwork make Eyelash Ivory Taffeta such a beautiful work of art. It is available in ivory (shown) or black. It is also available as a tablecloth (only available in 90" squares) which is perfect for use as an overlay.